As fitted to the original 1960's Formula 1 Championship Winning Cooper Racing Cars. These exclusive Cooper Wheel Badges have been faithfully re-engineered to the original 1960's design and manufactured from nickel plated stamped bronze Cooper logo, which is 2 colour enamelled and then mirror polished. Supplied as a set of 4 compete with slotted head fitting screws. As fitted to the original 1960's Formula 1 Championship Winning Cooper Racing Cars. 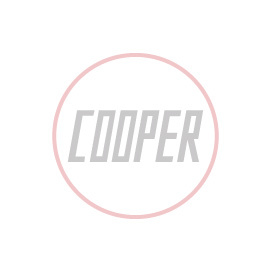 These exclusive Cooper Wheel Badges have been faithfully re-engineered to the original 1960's design and manufactured from nickel plated stamped bronze Cooper logo, which is 2 colour enamelled and then mirror polished. Supplied as a set of 4 compete with slotted fitting screws.